Vassilis Dalakas (MIEEE’ 2001, SMIEEE’ 2015) obtained his Degree in Physics, M.Sc. Degree (honors) in Digital Signal Processing, and Ph.D. Degree with specialization in Digital Communications, all from the National Kapodistrian University of Athens (NKUA), Greece, in 1998, 2002 and 2010, respectively. He is currently appointed as Teaching \& Research Associate in the Department of Informatics and Telematics of Harokopio University of Athens (HUA), and at the same time assists the University’s IT center as a DEVOPS manager for its private cloud computing environment. He has over 15 years of experience as a system administrator of the HUA’s networking and computing entire infrastructure. From 2006-2013 has been affiliated also with the National Observatory of Athens (NOA) where he has carried out part of his Ph.D. research in the field of Satellite Communications. Through his affiliation with NOA he has participated in a number of R\&D projects funded by the European Commission and the European Space Agency (ESA) in the framework of the Satellite Network of Experts (SatNEx). 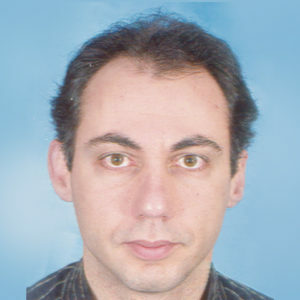 He has been also a research associate of the National Technical University of Athens (NTUA), the National and Kapodistrian University of Athens (NKUA) and the ESA in 10 European and national R\&D projects. His research interests include wireless digital communications for satellite and terrestrial system applications, digital signal processing techniques, optical communications, as well as systems engineering, modeling and simulation. In these areas, he has co-authored more than 30 papers, two book chapters and was a co-recipient of best paper award in 15th International Conference on Software Engineering and Data Engineering (SEDE-2006) and of best student paper award in 8th Annual IEEE Systems Conference, (SysCon-2014). Part of his work has been included in the ETSI DVB-RCS2 standard. Dr. Dalakas is also a technical expert and a certified instructor for the Greek Government and reviewer for several international scientific journals and conferences as well as a consultant for private companies in the field of ICT.